No matter the season, there is nothing boring about basics. Fancy desserts and special dishes are great, but you need to master your fundamentals in order to succeed! Join Fran Costigan for this discussion of how the basics are the key to a great result. Fran Costigan is internationally renowned as the authority on vegan desserts. 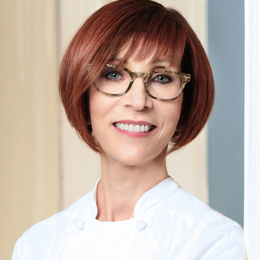 Trained at the New York Restaurant School and Natural Gourmet Institute, Fran was a chef in both traditional and vegan pastry kitchens before moving into teaching over 20 years ago. A lifelong chocoholic and long time vegan, Fran’s latest book, Vegan Chocolate: Unapologetically Luscious and Decadent Dairy Free Desserts, (Running Press 2013) is for all who madly, deeply love chocolate desserts, whether or not dietary considerations are an issue. Her previous cookbook, More Great Good Dairy-Free Desserts Naturally (Book Publishing Company 2006) is the basis of the Costigan Vegan Baking Boot Camp Intensive®.